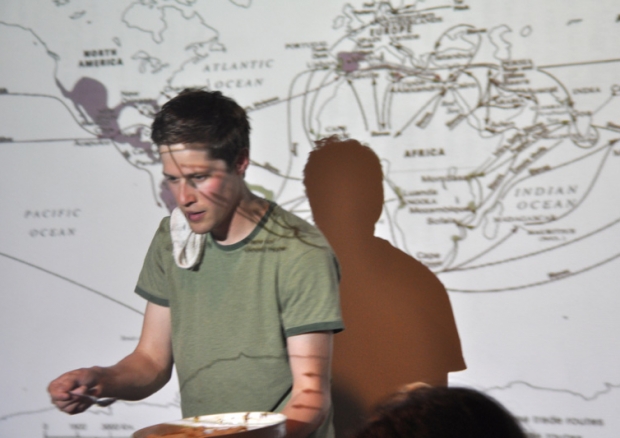 Planetary Sculpture Supper Clubs explore the ways planetary patterns change in response to how and what humans eat. 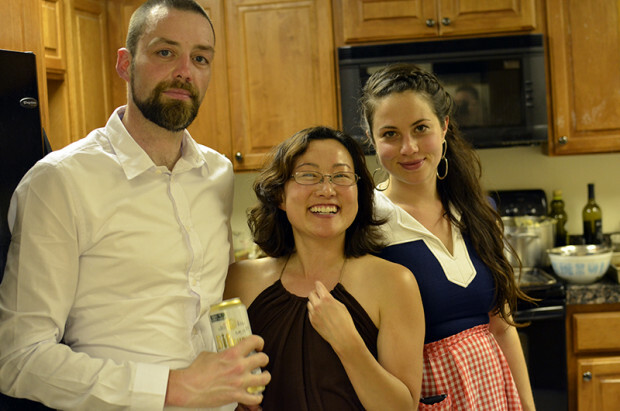 The Supper Club convened for the first time on July 28, 2011. 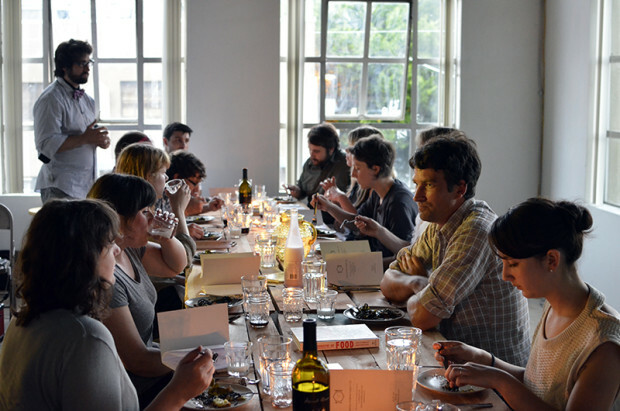 The Center for Genomic Gastronomy invited diners to experience their research through eight delicious and provocative courses, from mutagenic sorbet to utopian cuisine. 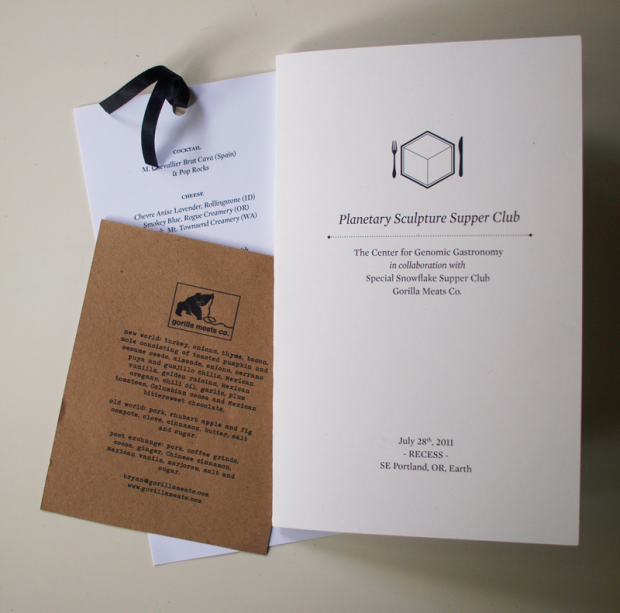 The Planetary Sculpture Supper Club presents a collection of foods, recipes and stories that point to the varied ways that humans sculpt the planetâ€™s biosphere. In agriculture, sculpting the biosphere and scripting evolution is commonplace. Animal and plant breeders have steered evolution for thousands of years. With a dramatic increase in the human population over the last century, the sum total of decisions that eaters make on a daily basis means that eaters exert increasingly intense selection pressures on the diversity, abundance and distribution of life on the planet. Every time a food-secure eater chooses to eat one kind of food over another they make a small, downstream, but not insignificant selection pressure that privileges certain genomes to propagate on the planet. EATERS ARE AGENTS OF SELECTION. What preferences, constraints, biases or assumptions determine the genomes that comprise our food system? Which food system? How big is it? What role should individuals, communities, governments or businesses have in determining the genomes that make up our food systems and ecological-systems? 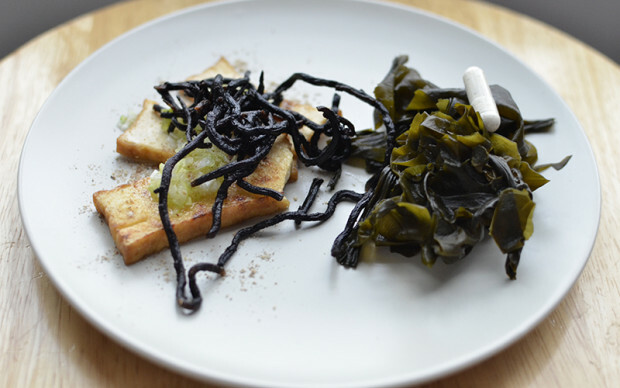 This is the first dish from our early investigations into Utopian & Intentional Cuisines. The Center is starting to scope out and unearth past visions of the future that outline how we could or should eat. Why were some movements and ideas successful while otherâ€™s failed? What are the fantastical images of the future of eating that can help us think through the present? 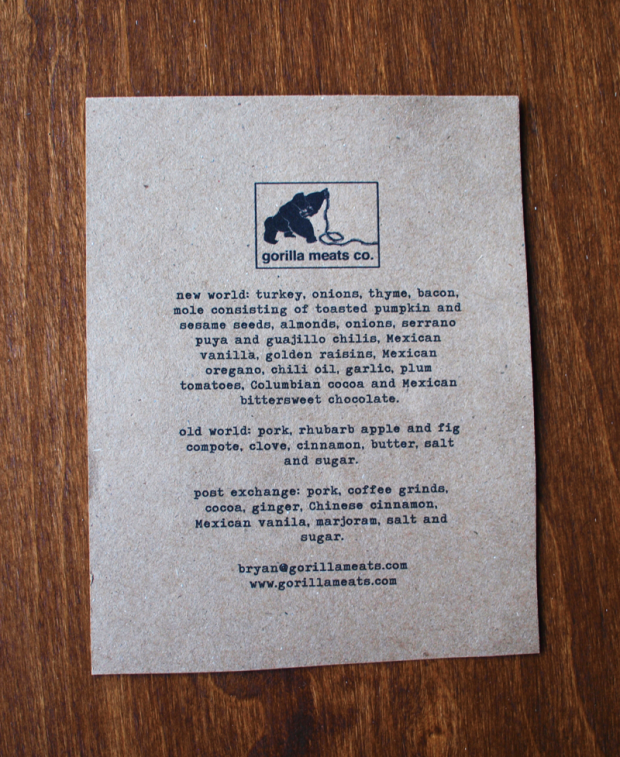 For the Columbian Exchange dish, Brian Rudd and Michael Malone from the exceptional Gorilla Meats Co made three experimental and delicious sausages; New World, Old World and remix. The Columbian Exchange was a massive exchange of animals, plants, culture, human populations, communicable diseases, and ideas between the Eastern and Western hemispheres (Old World and New World). It was one of the most significant changes in ecology, agriculture, and culture in history. New foods became staples of human diets, and new growing regions were opened up as a result of access to new crop genomes, technologies and recipes, transforming cultural practices the world over. 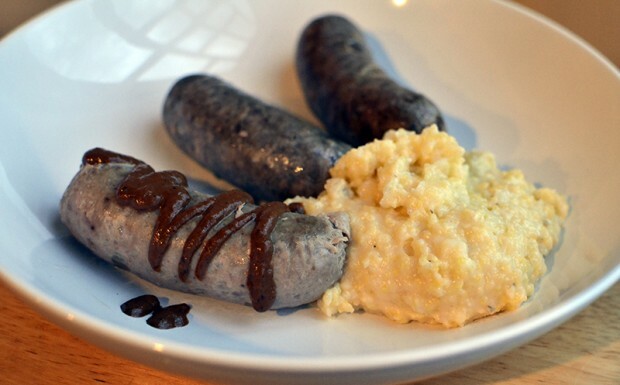 These three sausages are NOT an attempt to accurately re-stage recipes from a past era. These three sausages use the limited palette of genomes available in the â€œOld Worldâ€ and â€œNew Worldâ€ before the Columbian exchange as a set of constraints to improvise within. Each sausage should let your tongue glimpse the flavor sets available based on the genomic resources available before and after this massive migration of genomes around the planet. 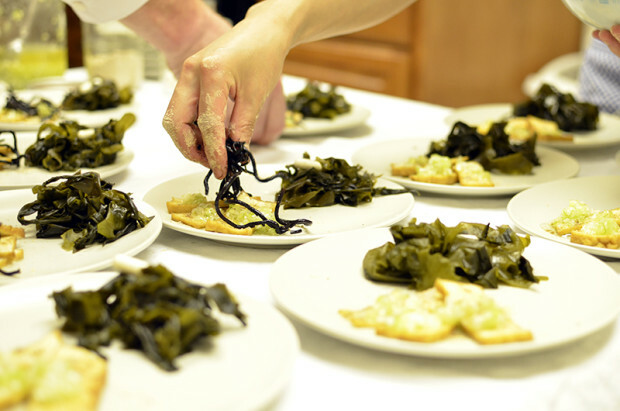 The history of gastronomy and genomic diversity is always one of innovation and conservation. What are the genomes and processes from the past worth holding on to? What new genomes and processes should we integrate or reject from our tables? 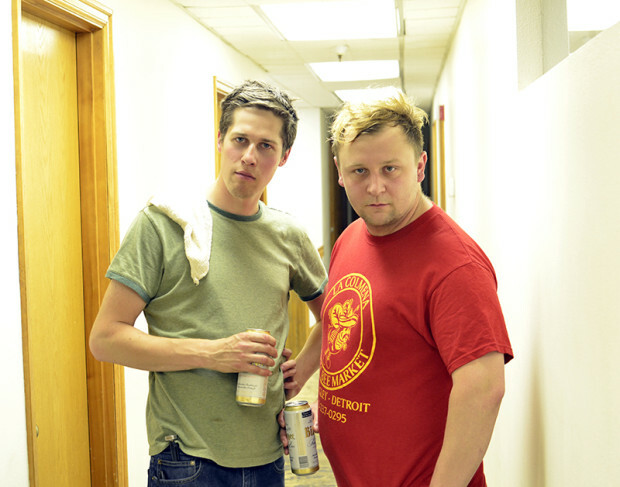 Thanks to Recess for hosting the event. It was a great and delicious experiment that we intend to develop further in future instantiations of the Planetary Sculpture Supper Club.